Kolkata is a definitive city of joy, for many reasons. Kolkata has the best sweets in the world, it is filled with friendly people but the best reason to love this city more is for its best places for shopping. Shopping in Kolkata is like treasure hunting, those who will find the right place will get the best deals. Get Fashionable: What to Wear This Winter? 10. Dakshinapan Shopping Centre, Jodhpur Park – If you like to collect handicrafts and arty crafts or want to buy a good gift to remember you by, then come here. This is an open-air market that lets you choose from the verities of Indian handicrafts. You can buy clothes here at a cheap rate too. There’s Kashmir emporium, where you can buy Handmade Carpets, Home Accents, Jamawar Mufflers, Shawls, Kashmiri Scarves, Shawls, Pashmina Shawls, and Stoles in a fit budget. Also, tea lovers must visit this place because there is one shop filled with 20 different fruit flavour of tea to choose from. 9. Oxford Bookstore, Taltala – Who loves to have a good read, should definitely know about this place. This place has separated book sections, especially for kids. Apart from books, you will find a tea bar, gift shop and my favourite a reading room, where you can sit back and relax with your book. 8. College Street, College Street – The “Boi-Para” of Kolkata which is placed at College Street is the world’s largest second-hand book market and the largest book market in India. Here you will find every book of your liking from literature to a fictional novel. You name it, they have it. It is also the place which was enlisted in the Time Magazine’s “Best of Asia’s” list, back in 2007. 7. Quest Mall, Ballygunge – For all the branded stuff seekers, Quest Mall is the best place to visit. From Louise Philippe to Gucci, you will find your every favourite brand here. Also, they have good restaurants, kids play area, movie theatre to chill and shop. 6. Hatibagan, Shyam Bazar – Translated into English it means “Elephant Garden”. This place was the destination to buy exotic birds and pets but due to a fire incident back in 2012, situations turns bad. But Hatibagan came back from the ashes and keep on going with shops that are century old. Apart from having stores filled with clothes you can also find some of the best stores to buy Jewelleries and ornaments. In fact, Hatibagan is famous for having the best and the latest accessories in the town. 5. BurraBazar Market, Bara Bazar – This place began with the sale of yarn. It has then boomed into one of the biggest and cheapest shopping destinations in the country. If one wants to experience the real chaotic shopping, you have made it. The areas are divided according to your need like there are spice centre, stationary centre, home and décor items and of course many cloth sectors. 4. Sudder Street, Chowringhee Lane – Now on to a different part of Kolkata, the hippie culture was embraced quite a long time ago. However, even after a long time the fashion still exists in Kolkata. If you saw someone wearing an “East meets West” cloth, you can bet that it was bought from the Sudeer Street. There are some specific stores which are best for its quality, like Sunshine or Art Museum Store etc. And when you will be finished with your shopping, you can chill at the Raj’s Spanish Café and Blue Sky Café. 3. Esplanade Market, Dharmatala – From large malls to flee market, you will find a combination of varieties of here. If you want to have more branded clothes then take a look at the exquisite malls here or if you want to buy more in your budget, there is a huge area covered with flee market. St Kilda is the best place here to shop. If you ever come here then must visit Sree Ram Arcade, it is the best place in here to shop for almost anyone. This place is famously known for Beautiful designer Salwars and Ghagra-Cholis. 2. Gariahat Flee Market, Gariahat – Not more than five minutes distance from the railway station Gariahat Market is my favourite shopping destination for all time. From readymade garments to fabrics and materials, bedspreads and pillow cover to blankets and woollens, CD’s to electronic goods there is nothing you won’t find here. 1. New Market, Dharmatala – Even the tourist who visits Kolkata never misses the chance to shop here. New Market literally has over 2000 stalls around the place. From corsets, fishnet stalking to leather jackets, you won’t find anything that what you want New Market can’t give you. If you can handle the crowd and can bargain till you drop, then you have got yourself a shopping heaven. 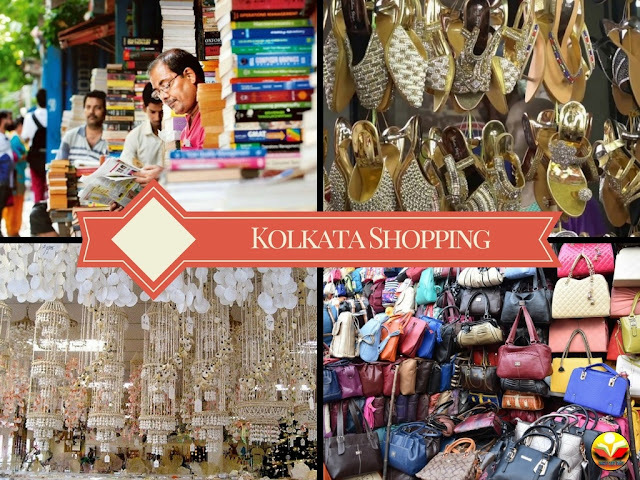 These are the famous and most reasonable markets of Kolkata, where you can fill your wardrobe. I am sure that after visiting these places you won’t be able to buy anything from any other place.